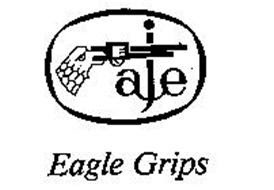 Carol Stream, IL—In this western Chicago suburb is a business I’ve been associated with for over four decades, Eagle Grips. It’s a high end gun grip maker that has graced hundreds of gun magazine cover throughout the world. They offer genuine ivory, Sambar Stag, Mother of Pearl and American Elk Grips along with Rosewood and Ebony wood. Now they developed a new process creating a material called Kirinite. I can’t describe this material anything short of elegant and wonderful. The material is impervious to dulling or scratching and the grips stick to the hands and fingers of the shooters. Every possible property you’d ever want.